Drew Barrymore just dropped an all new home decor line at Walmart called Flower Home, and it couldn’t be any more perfect! It’s a little bit boho, with a touch of glam and whimsy. So Drew, and right up my alley. Oh, and did I mention it’s completely affordable? Ummm ya. As of late, I’m under a pretty strict budget, so I thought this collaboration would be the perfect time for a guest bedroom refresh! This post is sponsored by Stirrings. My bar cart plays a couple of different roles in my home. Most days it serves as a simple vignette, but when it comes to entertaining, it’s a hard-working party machine. If it’s happy hour, that sucka needs to be fully stocked. Boozy basics and fun mixers for guests to shake, stir and sip need to be on display. But how does one still make it look pretty? 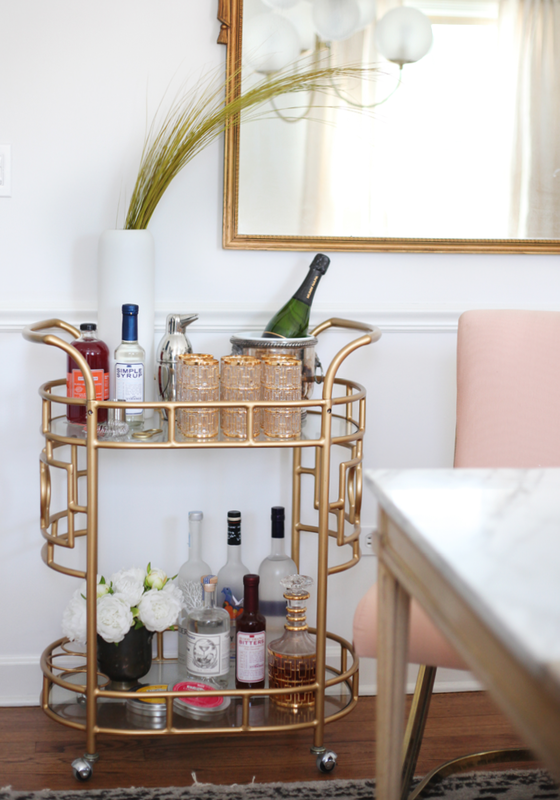 Stirrings asked me the same question, so today I’m sharing my 5 top steps to beautify a hard working bar cart and make your next gathering extra Insta-worthy. When we bought the new house, the dining room was the first space I started decorating. In fact, the Girl in a Chemise Picasso painting (BTDubs…so not real…yes, I’ve been asked…I ain’t that fancy) was the first piece of home decor we brought into the house on closing day, and she might just be the only thing that’s never been moved to date. Now that I own a television that can easily stream from the internet, I feel like a whole new world has been opened. A few posts back I shared a few new to me shows I was either binging or discovering…I know, I’m a little late to the game…but, one happened to be The Marvelous Mrs. Maisel. 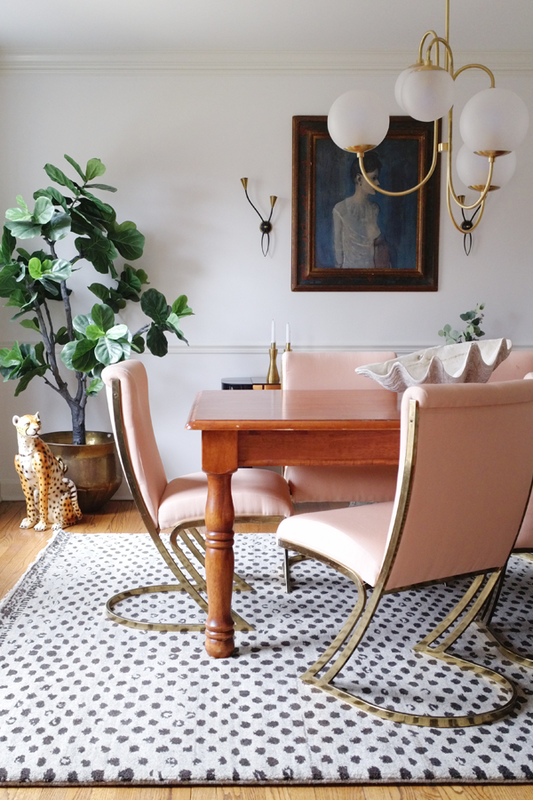 I started watching the night that post went live and am presently obsessed with her Mid-Century home decor style…so bewitched, that sometimes I forget about the story line and just nerd out over the furniture. 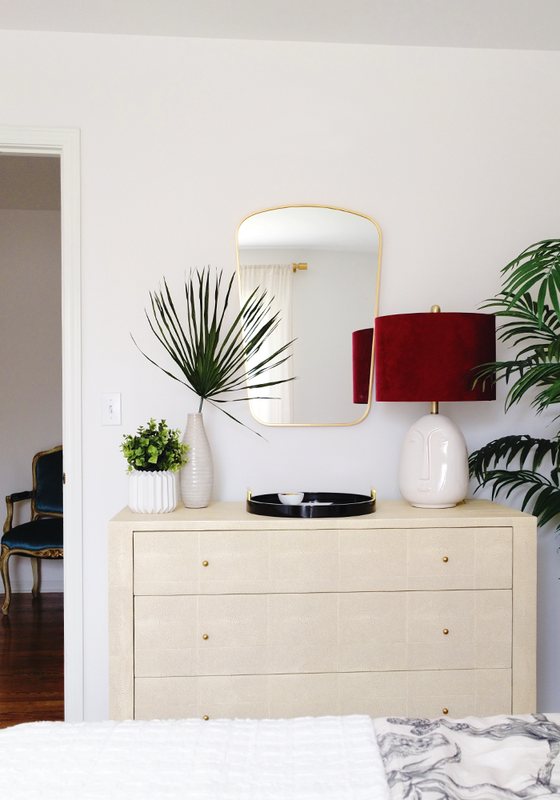 If you’re a lover of 1950’s interiors and fashion, read on.